If you have been arrested or charged for a drugs related offence, contact us now to speak to one of our experienced criminal defence solicitors. We have a large team of lawyers who deal with defending drugs related cases on a daily basis. The Misuse of Drugs Act 1971 is the central piece of Legislation around which the United Kingdom's drug policy is built (other than alcohol and tobacco). Possession of a controlled substance unlawfully. Possession of a controlled substance with intent to supply it. Allowing premises you occupy or manage to be used unlawfully for the purpose of producing or supplying controlled drugs. Despite all social and economic research to the contrary, the government in the nineteen eighties decided that money was better spent on punishment than on rehabilitation. Unfortunately, the trend continues today and the drug problem like many other social ills, has been deemed to be best dealt with in the criminal justice system. Fortunately, for less serious offences, the penalties are usually fines or low level community penalties. The aim of the act is to regulate the use and supply of controlled drugs. The act also gives the Home Secretary power to include or remove substances from the list. He/she also has power to reclassify substances covered by the act. In 2004 Cannabis was reclassified moving from Class B to Class C. There followed a great deal of confusion about the actual legality of cannabis, perhaps caused by press coverage of the move. Cannabis was reclassified as a class B drug in 2009 against the edvice of the governments own scientific adviser. Both Parliament when enacting, and the courts when adjudicating, draw a clear distinction between users and dealers. When the Home Secretary downgraded cannabis to class C the statement in the commons was that courts were to be told to treat dealing and supply more seriously then they had previously done. It is not clear if that did happen, but it is certainly the case that dealing any drug is seen as a serious offence. The maximum sentences shown below show just how seriously parliament viewed drug dealing and supply when the act was passed. Penalties for possession: Up to seven years in prison or an unlimited fine, or both. Penalties for supply (dealing): Up to life in prison or an unlimited fine, or both. Penalties for possession: Up to five years in prison or an unlimited fine, or both. Penalties for supply (dealing): Up to 14 years in prison or an unlimited fine, or both. Penalties for possession: Up to two years in prison or an unlimited fine, or both. It should be noted that Drug trafficking (supply) attracts serious punishment including life imprisonment for Class A offences. To enforce this law the police have special powers to stop, detain and search people on �reasonable suspicion� that they are in possession of a controlled drug. One of the most common Drugs for people to come into contact with is Cannabis. It should be noted that although in 2004 Cannabis was downgraded from a Class B to a Class C Drug, in 2008 the Government re-classified it to Class B. Any offences involving Cannabis therefore attract the sentence of a Class B Drug, which can be considerably harsher than that of Class C.
If you're arrested and taken to a police station, you may be tested to find out if you've taken any Class A drugs. You may be tested if you've been arrested for a 'trigger offence'. 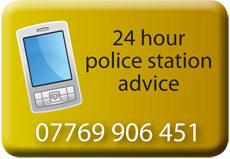 Trigger offences include street robbery, burglary, car theft, handling stolen goods or supplying drugs. A person cannot be forced to provide a sample for testing, but it is an offence to refuse to provide a sample without good cause. If you test positive for Class A drugs, you'll be required to attend a compulsory drug assessment by specialist drugs workers. The assessment will determine the extent of your drug problem and help you into treatment and other support, even if you're not charged with an offence. In respect of Cannabis, there is another offence known as Cultivation of Cannabis. The Misuse of Drugs Act 1971 makes it an offence for anyone to grow any form of Cannabis plant, unless they have a license for Industrial production. This Offence carries a sentence of up to 14 years imprisonment or an unlimited fine, or both. Class A Drugs - Up to life imprisonment or an unlimited fine, or both. The Misuse of Drugs Act 1971 also makes it an Offence for allowing premises to be used for the Use, Supply or Production of Drugs. Under this section of the Act, you are guilty of an offence if you knowingly permit any of the aforementioned activities to take place on premises owned by you or under your control. Importing Class A Drugs can be tried in either the Crown Court or the Magistrates Court and carries a maximum sentence of life imprisonment. This would be reserved for the most serious of offences. Importing Amphetamine can be tried in either the Crown Court or the Magistrates Court and carries a maximum penalty at 14 years imprisonment. Importing Cannabis can be tried in either the Crown Court or the Magistrates Court and carries a maximum penalty of 14 years imprisonment. The above information is correct on the date of writing - 15/11/09. Please contact us for the most up to date information. At midnight on the 25th of May 2016 a blanket ban on new psychoactive substances (NPS), so called “legal highs” came into force. These types of drugs have been in the press regularly for the last few years due to their easy availability and the fact that a number of people have died after taking them. NPS drugs are chemicals that give users similar effects to drugs such as cannabis and cocaine. They were previously legal and the law has had trouble keeping up with the new variants of these drugs as they appeared. For example, one such drug, Mephedrone was banned following the deaths of some users. However, because these drugs can be quickly created in the laboratory, slightly different re-synthesised versions of the banned drugs were being created to get around any previous drug specific ban. The blanket ban has been created to stop the drugs creators from using this loophole to create new drugs. It is now a criminal act to produce, distribute, sell and supply any of these drugs. Offenders can face up to seven years in prison under the Psychoactive Substances Act. The new law will also enable the Police to shut down so called high street “Headshops”, shops which sell drug paraphernalia. If you, or someone you know, have a problem with drug or alcohol use, there are several agencies that can offer help and advice. You can speak to your GP who will be able to direct you to a specialist centre. Most local probation offices will have a list of referral agencies.